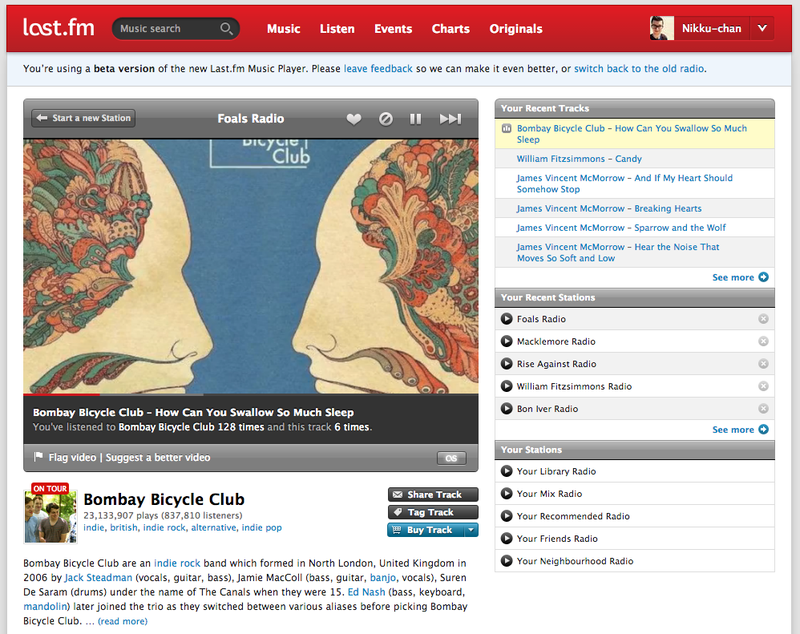 Last.fm is giving users early access to a new version of its music player, currently in beta. Little has changed in terms of its functionality, but a clear difference is that it now uses YouTube, rather than its own built-in player, to provide its customisable internet radio stations. If you log in through the Last.fm site, you should see a link to activate the new player at the top of the page. A couple of controls have ben pulled out – because the new player uses video, there’s no need to offer a slideshow toggle, or a volume slider when there’s one already offered within the YouTube player. Although music videos are a welcome addition to the music player, it’s possible that Last.fm is also making the switch to cut down on licensing costs. In December 2012, Last.fm withdrew its radio service in all markets aside from the US, UK and Germany, where it became paid-for on desktop and through its mobile apps. The site is struggling to stay relevant in a world filled with music streaming services, such as Spotify, Rdio and Google Play Music All Access, that offer their own personalized radio stations. Scrobbling is still a unique feature, although it’s unclear if that’s still enough to lure in new users. We’ve reached out to Last.fm and will update this article with any additional information we receive.